Completed on time. 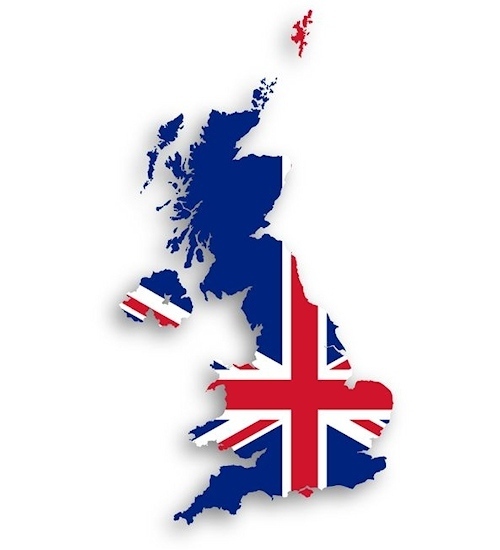 The Government has today confirmed that an estimated 95% of the United Kingdom can now access a 24Mbps+ capable fixed line “superfast broadband” network as a result of their national £1.7bn Broadband Delivery UK programme, but many gaps remain. The 95% figure represents a national average, which means that some parts of the UK have gone further than others. For example, the coverage in England is currently on 95.5%, while it’s around 94.2% in Wales and 93.4% in Scotland but only 86.7% in Northern Ireland. It’s a similarly variable story at county-level too. The programme is now expected to continue until around the end of 2020, when it’s hoped that the network will reach 98% of premises (the 10Mbps+ USO has been designed to tackle the final 2%). Below you can see the most recent stats from Thinkbroadband’s database. NOTE: Most of the “Ultrafast” coverage is currently being delivered via Virgin Media’s EuroDOCSIS based HFC cable network, alongside a little bit of “full fibre” FTTP/H from various different operators. Originally established in 2010/11, the state aid supported BDUK programme was designed to extend superfast broadband beyond what commercial operators were expected to deliver (pure commercial deployments have covered around 76% of UK premises). The total contracted Government funding under BDUK is currently around £700m, which has been matched by £900m+ from local bodies (councils etc.). Most of the BDUK roll-outs have also been supported by contracts that harness private investment, which are dominated by Openreach’s (BT) deal to rollout their ‘up to’ 80Mbps Fibre-to-the-Cabinet (FTTC / VDSL2) and a small bit of their ultrafast Fibre-to-the-Premise (FTTP) tech. Recently we’ve also seen altnets like Gigaclear, Call Flow, UKB Networks and Airband win a number of contracts, particularly around remote rural areas. Between 2009 and Dec 2017 Openreach committed some 5,600 field engineers to extend their national “fibre based” (FTTC/P) network to 27.1 million premises (commercial deployments and BDUK) or 35 million kilometres of fibre cable, which involved more than 145 million man hours, 2 million roadworks, 6000 spades, 91 cherry pickers and the odd drone. In total the project is believed to have helped extend superfast connectivity to more than 4.65 million additional homes and businesses (here), which might have otherwise been left to wait years longer for a commercial deployment or may never have been reached at all. In 2017 alone around 800,000 homes and businesses were reached through the scheme, alongside commercial delivery, with Openreach delivering a major proportion of this achievement (774,000). “Over the last 5 years, the Government’s rollout of superfast broadband has made superfast speeds a reality for more than 4.5 million homes and businesses who would otherwise have missed out. But there’s still more to do in our work building a Britain that’s fit for the future. “This is without doubt an extraordinary achievement and I’d like to thank the thousands of Openreach engineers and the many more of our people supporting them, who have worked so tirelessly to make this happen. We have come a long way in a short space of time, with one of the fastest broadband deployments in the world. This is an important milestone – but we’re not stopping here. We’re determined to get Britain – the whole of Britain – hooked up to decent broadband speeds. We want to get on with the job of delivering better broadband to everybody in Britain, and we don’t want people in not-spots to wait any longer. The Government intends to introduce a Universal Service Obligation, which will give people the right to request broadband speeds of 10 megabits per second by 2020 and we’ll be working with the industry including other network operators, Government and Ofcom to deliver this crucial policy pledge. In the meantime, we’ll be continuing to expand our network into rural areas through a combination of our own commercial programmes and our partnerships with local authorities and communities. The good news is that the BDUK contracts contain a gainshare (clawback) clause, which requires operators to return part of the public investment as take-up of the new service rises (average take-up across all the intervention areas is currently around 40% and rising with time) and this can then be reinvested to further improve coverage. BT recently revealed that £477 million of funding may potentially become available for reinvestment through the above mechanism (here) and efficiency savings will also play a role (£210 million has so far come from this), which is how the programme expects to reach its next aspiration of 98% coverage (total of £687m for reinvestment) by around 2020. As most BDUK contracts run for 7 years then we may see this figure rise. Separately the government claims that their project has also “delivered a significant boost to local economies,” creating around 50,000 new local jobs and generating an additional £8.9 billion in turnover in the areas covered by the Government’s rollout between 2013 and 2016. The source and modelling for these figures is not stated. It’s not all plain sailing.. However the BDUK programme has also suffered from plenty of flaws, not least of which was the fact that it took the Government far too long to become more accepting of smaller alternative network ISPs, which enabled BT to hoover up pretty much all of the original Phase 1 (original 90% coverage goal) deployment contracts and many of those in Phase 2 (extended 95% coverage goal). Another area where BDUK has struggled is with the failure to follow most other EU countries by setting a solid target for achieving 100% coverage of superfast broadband, not to mention the UK’s decision to define “superfast” as speeds of “greater than 24 Megabits per second” while most of the EU and Ofcom has been defining this via the faster figure of 30Mbps+ since 2009/10. However we should point out that both Wales and Scotland are already talking about delivering universal coverage of superfast broadband (here and here), which makes it somewhat disappointing that both England and Northern Ireland have yet to catch the same bug of aspiration. 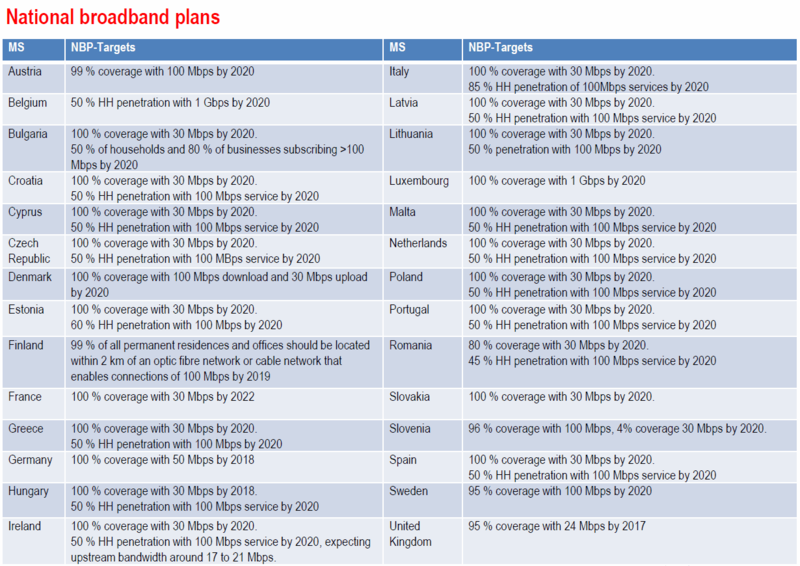 Overall the BDUK project has been successful and it’s important to recognise that, despite the absence of a 100% coverage target, the UK’s existing coverage of 30Mbps+ capable broadband is currently still measured to be ahead of most other EU states (here); but how long this lasts is another question entirely. The original BDUK Phase 1 goal (90%) may have completed a little later than expected but the Phase 2 target (95%) was largely achieved both on time and on budget. Few other Government projects of this scale can claim to have done the same and no doubt BT will take part of the credit for that. The focus now will be on what comes next and how far can the private sector extend the new generation of ultrafast “full fibre” broadband before we see a much more expensive repeat of the BDUK scheme. In addition, we are still waiting to hear precisely what the approach will be to both funding and delivering the “legally-binding” obligation for a minimum 10Mbps download (1Mbps upload) for all via the new USO (here). On the other hand if you happen to live within the final 5% or even the final 2% (the latter may only see a 10Mbps USO) then all this talk of progress and of “closing the ‘digital divide’” will no doubt be agonising. After all, you haven’t benefited yet and you’ve already had to wait years and years. Progress has definitely been made but the vocal minority may require something better than a minimum speed of 10Mbps or inferior Satellite. NOTE: The 95% figure is of course an estimate, although real-world experiences may still be negatively affected by your choice of service (the upgrade isn’t automatic so you need to order it), poor home wiring, slow WiFi networks, network congestion, local street cabinets being full to capacity (i.e. can’t take new orders), faults and various other factors. The CLA (landowners association) has offered up a comment. However, it would also be good if such organisations could do more to pre-actively encourage land owners to allow access for the installation of related cables and equipment, so that rural communities can be better served. “Achieving 95% is an important milestone in the delivery of superfast broadband across the whole of the UK but this still leaves significant areas devoid of a fast connection, critical for many rural businesses. Getting connections to rural homes and businesses is complex and expensive but it is essential and a crucial part of establishing fairness and balance in the economy. That is why the universal service obligation of 10Mbps that we fought so hard for, is important not only to rural areas but to the whole country. For OR based lines… I am guessing this is based on the headline rate rather than the handback threshold? If it is, that is quite misleading. None bar one of my FTTC lines ever manage to sync at the headline rate. The modelling does not make use of the headline or handback thresholds, but is an independent distance model. Where checks against user and Openreach data are periodically done the estimates fall at the bottom end of the B range. It will be interesting to see how trying to reach the 100% unfolds. Figure 2 (page 7) shows the 6 scenarios. Only 2 scenarios are at 30 Mb/s download. Pages 36 to 39 contain some really interesting information. It does all appear to suggest that if one wants to deliver Superfast Broadband then fixed technology preferred to wireless technology. If one wants to deliver a cheap USO then wireless technology has its part to play, but perhaps not as much as one might have thought. It does mean that one would have to be extremely careful about how any broadband delivery was split up. If not, one could end up with a more expensive mix. The fact that (in Figure 35) the cost of FTTP (clustered) was 66% less than FWA, whilst the cost of FTTP Dispersed was 19% more than FWA must make for a particular challenge. I wonder how much of this will be taken into account with procurement on all the various BDUK projects. The challenge is in the splitting up. If one is not careful doing it piecemeal might actually make the cost higher and deliver poorer connectivity for the public. The FTTP Dispersed cost could come down if it were combined with an FTTP Clustered. It is one thing to look at properties but the cabinet and exchange areas need to ne factored in. It looks like the cost for the distributed-fibre option does take account of the distance to the nearest clustered-fibre area (text 4.26). One aspect that always concerned me about FWA was its capacity – its ability to handle a high density of subscribers – with limited spectrum. It is good to see that the model takes capacity into account (the “spare capacity” option in Figure 29). This kind of calculation is the one necessary to give an FWA provider enough subscribers to prosper, and is the thing missing from the early BDUK models (which assumed FWA was not capable of superfast provision). FWA can, of course, be used in a targeted fashion too: with lower-power transceivers aimed at the higher-density clusters, instead of (say) the fixed FTTP and G.Fast solutions that are used. We should also bear in mind that the document doesn’t give us a costing for this kind of FWA, which would be a better choice for comparison with the FTTP-dispersed group. From this, it looks like Cartesian are following a similar bias to BDUK’s original planning: Assume as much fixed-wire as possible, before contemplating fixed-wireless. Whoops – I meant the “clustered FTTP” group. Still no idea from the government who will be responsible for delivering USO or how, or indeed who will pay. The final 2% are of course the most difficult to serve. Here in Devon currently about 8% of premises will qualify for USO, Margot James was just interviewed on BBC radio Devon, again promising that 100% will get 10 Mbps by 2020. Personally I have my doubts, even if the money is available where will the skilled manpower come from? 10Mbps is available on satellite or antenna boosted mobile broadband or FWA in places, but the job is to take fibre as deep as possible. The acknowledgement to get to 98% with existing funds has taken some time, but cheapness of FTTC and the high take up, means if residents are patient and organised, much much more can done. Our local attempts to get residents organised have been scuppered by BT-OR demanding £10k per KM to hang fibre along the existing pole route to our hamlet. yu assumption is based on what exactly as I’m sure you have absolutely noidea where you nearest aggregation point it and it 100% likely not to be at your nearest cabinet and it that is the case it might be significantly further than you the distance you assumed to make your wild cost per km assumption and I’m sure you measured every pole and walked the entire route to ensure its within the correct span length to string fibre along it without having to add additional poles and you’ve also its 100 % poled / ducted back to the aggregation node !!!! I understood the expectation from all sides is its no different to the provision of phone lines. So OR. With the usual cost ceiling. OR then defray the cost across all subscribers. Or do they supply something else at that point? Satellite or 4G perhaps and who supplies this? All unknowns at this point I guess..
@Fastman That was what I was referring to in my post. Well, a hat tip to the Government, BDUK, Openreach and numerous alt nets… I personally never thought that 95% would be achieved (certainly not by end of 2017), especially back in the summer when another 2% coverage was required and we were moving at about 0.1% per month. Well done to all involved…! Its been going a bit faster than you suggest in % terms but; projects tend to work like that as you spend most of the time in planning and groundworks/ducting, cabling and installations of power. Then you suddenly get big spikes as sections are switched on. Getting to 95% should be saluted, and the acceptance that 98% can be reached using a great deal of FTTP to do so, all within the existing budget envelopes should also be applauded. This is before we get a proper reconciliation of BT’s capital contribution and where it currently sits! In fact the budgets available exceed a £1bn for further work so rather than planning for B-USO of 10Mbps, FoD should be standard with ECC available under the state aid rules. Satellite, antenna boosted Mobile Broadband and FWA can cover the 10Mbps where fibre cannot be delivered without the BT overhead witnessed in BT’s last voluntary offer. The lessons from this should be applied to the provision of FTTP for SME’s in Town centres and business parks. It is cheaper than portrayed and take-up is higher. “We” being who exactly? The auditors? ONS? DCMS? The Serious Fraud Office? You? AndyH – all of those, plus 3 select committees and each national audit function. not the fraud office, or Ofcom or EU. Most of the extras go to Openready; so this is good, money ends up where intended. Keep up the good work. What would be the legal body to set the ambitious target and provide gap funding in England, as there is no devolved administration? UK government, but setting focus only in England could and would be problematic. Devolved administrations would rightly ask why they need to pick up the bill in Scotland and Wales if UK government is doing so in England. But who would do the talking? In Scotland and Wales it is the devolved administration, but is there anything resembling that in England? What exactly does “by 2020” mean? I would use it to mean by Jan 1 2020, the government uses it to mean by Dec 31 2020, and some use it to mean by the end of the 2020 financial year -i.e. April 5 2021. It is similar to Fastershire/Gigaclear using “soon” to mean by the end of 2020, and equally misleading. I don’t know the answer but the legislation to create this will specify a date (unless its via a SI) so you can check. @Fastman I have no idea of the technicalities, only that BT-OR gave us a quotation for £50k and its a measured 5 KM cable route back to the only cabinet (which is right outside the door of the telephone exchange). With only 6 premises in the hamlet, even if everyone was able to contribute (which they are not), its hardly an affordable solution. Have you looked at other alternative solutions and providers? Although £50,000 to run a cable over 5km might seem expensive, it really isn’t when you look at the work that’s involved. Yes we have looked at all available options and continue to look almost daily. Currently the only possibilities are satellite and 4G. Both are second rate alternatives, latency with sat and data cap with both. Airband are building locally but we are not getting covered. What about self-digging? Is that feasible with farmer assistance and permission? Self digging is not realistic here as most of the distance is woodland, not open fields. We also have at least 20 different land owners between the hamlet and the exchange. Only 6 premises in the hamlet, so not much resource either. What about your local authority? Do they not have any plans for your area? In our area BDUK phase two is 2 years behind everywhere else due to a failed tender process, they have just released the phase two coverage maps and we are not included in the predicted coverage area. “35 million kilometres of fibre cable” – is that right?? That’s over 90 times the distance to the moon, or about 25,000 times the road distances from Lands End to John O’Groats, installed in 9 years. And yet there won’t be even 2 million homes connected until 2020. Perhaps they are counting a 1km length of 144-strand cable as if it were 144km of cable? Even then it seems excessive. Of course they are counting the total fibre strand length. This is institutional PR. I would not expect anything else, whatever the field. Just think of the uses that approach coud be put to -double the length of railway lines improved (triple it has an inner coducting rail); six times the length of new motorways; many times the number of houses built counting each habitable room as a home; and billions of times the stretches of rivers improving using the number of molecules across the width as a multiplier. That’s not the same thing as you need at two rails for a track whilst a single fibre can carry traffic. A more accurate example would be comparing new track mileage with new route mileage. In my local council area, Fermanagh and Omagh, only 63% can get download speeds of at least 30Mb/s (don’t know about 24Mb/s as Think Broadband don’t do NI council areas at present, but it’s probably a couple of percentage points higher), 23.4% cannot get the USO planned speed of 10Mb/s download & 1Mb/s upload, and even 12% can’t get at least a download speed of 2Mb/s. With the council area having a lot of one-off low density housing the distance limitations of ADSL & VDSL becomes stark. So I do wonder what can be done in areas like mine and others where a significant amount of residents & businesses are just struggling along with broadband speeds that were OK a decade ago but just don’t cut it for much today? A large scale FTTH roll out to those areas not currently served by “superfast” speeds would be the best solution on paper, but would clearly cost a fair bit of money and time to complete as most such lines would be at least 1.5km from the FTTC cabinet or be long (EO?) lines from the exchange. G.fast certainly isn’t going to work here. Fixed Wireless is available in quite a few places, but there’s varying quality of service ranging from decent to pretty poor, but one local operator who had a lot of problems over the years appears to have got their act sorted better in the last 12 months. 4G LTE broadband from the mobile networks is available again in many places but has issues with QoS in some places at peak times and isn’t particularly cheap with the relevant data caps – though I see EE have reduced their prices (100GB a month down from £75 to £45 and 200GB from £100 to £60) and Vodafone & O2 haven’t bad deals for lighter users (40-50GB) either. A few people close to the border might be able to use the Irish networks which are more generous for now. As for satellite, that really should be a last resort option where there is really nothing else like no VDSL, no 4G or 3G, no FWA and ADSL is just a crawl. Also the most expensive of the lot. I wonder if BT, in lieu of an FTTP only network in the long-term future, could look at using some of their 2.6GHz spectrum they won in providing an LTE FWA product to serve non-superfast homes where possible? They could make it conditional that you must retain your landline for them to provide a service. Also it mightn’t be a bad idea to cap speeds to 24 or 30Mb/s and enforce a soft data cap to mitigate users hogging the bandwidth? They near enough have much of the infrastructure already in place with local EE masts that I presume are Band 7 capable right now? It’s a shame that the NI Assembly is lying in limbo with MLAs sitting on their hands and unlike the likes of county councils in England I don’t think our councils over here can do very much on their own. NI Councils is in hand, hopefully, so in the next month. On coverage, seeing clusters of FTTP in the worst areas and EO going to FTTP in the middle of towns, in addition to new VDSL2 cabinets, so things are changing but not at a mega fast rate. On 4G 2.6GHz in some areas it may have a case, but would work much better if using the 700 MHz band due to additional range to cover more homes from each mast. Hi Andrew, nice to hear about the potential update to include the NI councils. I look forward to seeing it. The reason I suggested 4G 2.6GHz is that I’d be reasonably sure (not 100%) that most if not all of EE’s BTS sites in Northern Ireland were upgraded with the frequency in mind when they were doing a lot of work in upgrading many Orange 2G and a few ex-T-Mobile 2G masts in 2012/13 at first upgrading them for 3G and later bringing 4G on line (there was no Orange/EE 3G in the district until around Easter 2013). Looking at EE’s coverage map there doesn’t seem to be anywhere “West of the Bann” in NI that has a significant area of 2G EE only so probably all the masts locally are doing 4G 1800MHz. 2.6GHz is only being used to cover part of Derry city at the moment. I’m thinking along the lines of the 20MHz TDD spectrum obtained by Niche Spectrum Ventures that could be used for such a set up, outdoor aerials are readily available and a good amount of LTE modem/routers already support Band 38. With 700MHz, it is at least two years away before it can be usable (the TV transmissions in this band in the Irish Republic will only close in March 2020 after the northern ones in late 2019) and if the 800MHz auction is any guide, I don’t think any operator obtaining 700MHz spectrum will be getting 20MHz paired lots. Also while 700MHz would likely cover more homes from each mast, the amount of premises in the district with sub 10Mb/s download speeds (over 10,000) and sub 2Mb/s speeds (5,400) would likely bring up contention issues IMO that the use of 2.6GHz would be more suited for, not to mention that if a cell sector is reaching capacity they could use NSV’s 2x15MHz FDD spectrum or even “borrow” EE’s 2.6GHz FDD spectrum in isolated cases to improve throughput to customers. The main bottleneck I see would be data capacity to the BTS masts and towers, quite a bit of EE’s rural BTS sites locally, from looking at planning documents, aren’t hooked up to gigabit fibre but using microwave links. I’m not sure of the data capacity these links can carry (I’ve heard variations from 250Mb/s to 1Gb/s) and how they might impact on EE’s own customers if BT was to share them for FWA, plus any additional dishes at the BTS sites would require planning permission. The main saving grace in this is that EE as a mobile network in not used by a lot of people locally, maybe a share of 5-10%, O2 is king in these parts with Vodafone a distant second. So it’s very unlikely that EE’s data network in the district is regularly hitting even close to the capacity available. With regards to FTTH, there have been some very limited deployments I know of that are mainly done at property clusters that are too far from their cabinet for VDSL to be any use. At my own exchange there is one cabinet that is both FTTC and FTTH enabled that has a lot of long lines connected to it, but FTTH is only available to a small amount of lines connecting to the cabinet that all go in one direction, northwards. The remaining lines connected to the cabinet aren’t offered FTTH even if VDSL isn’t possible and even where ADSL is next to useless. I’m sure there’s a technical reason for it that is beyond my present knowledge. I note the £150m election deal monies is now appearing in Stormont proceedings and BDUK spreadsheets. 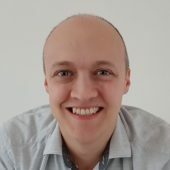 There was also a £6.2m of clawback announced in September by Matt Hancock to be re-invested, so money to fix the problem is not the issue. The hope is to orchestrate a lot more FoD if you want fibre deeper in the network. It is appearing on the top of Galbally and up in parts of the Sperrins which are final 1% locations. Ofcom are also due to report on the 4G -98% of premises indoors (95% for NI) coverage obligation. The 2Mbps indoors could be boosted by using antennas. The assembly reforming would help get decisions made, including forcing through change requests on that £6.2m of funding, currently sitting in BT’s accounts. Hi NGA – do you have links to the said info? The ones concerning the £150 million Westminster sweetener, the BDUK spreadsheet and the map showing FoD demand? I’d be grateful if I could sneak a peek at them. Saying that, I’m fairly pessimistic in that while Stormont is still mothballed very little will be done as our local councils don’t have the power to do much in this field, even if Fermanagh and Omagh Council have set up a Working Group on broadband delivery and other predominantly rural local councils in NI also try to bridge gaps. There are still a few cabinets I know of to be FTTC enabled but otherwise things have ground to a halt. Superfast NI is almost finished as a PR and coordinating project, there’s very little coming out of them these days (e.g. Twitter account gone). Let’s hope that the Tory/DUP pact doesn’t collapse before the £150 million can be spent! The spreadsheet is on the BDUK website, there is a tab for procurement pipeline. Check out the reports on the ICBAN website based in Enniskillen. The £150m has a history pre-dating the election agreement, it is part of the effort by your Councillors. I’ll be blunt I do not understand the obsession with FoD, the FTTP I am seeing in Northern Ireland is native GEA-FTTP, so map of FoD demand exists. Tracking FoD is a stupid thing, since the costs while they may seem reasonable to some are not going to be realistic for many people, who don’t have savings or mortgages that will let them cheaply add a few thousand. Its the equivalent of saying all of York can get Gigabit speeds because one new operator has a metro network across the city. FoD are GPON extensions, always should have been, even when BT were loading all the costs on the first customer. It is just it includes contributions from customers, the work is conducted under state aid avoiding ECC rates, and using contributions from network operator and LA. The same HoP are used, the same AGN, – use spare fibre within the cable if you want, or lay new ones if you have too. The BDUK requirements were never defined by the limitation of copper, hence the budgets for in-fill and why there is so much money to do significant FTTP in-fill. FoD – is no more than customers being able to add the equivalent of a distance based connection charge to public funding/network operator investment pot for a native-FTTP GPON extension. And when you comprehend the reality that most people do not usually have £3000 to £10,000 sitting around waiting to be used to pay the on demand build costs you might understand why you going on and on and on and on and on and on and on and on about FoD and finding it useless. Andrew. Once upon a time you believed in an average cabinet/fibre path cost of £50k. Duct Footway £121, Total Cost £3,952. The subsidised splitter was two poles away in sight of the property. While some will no doubt be as you say, the reason so much FTTP can be planned is that the unit costs like FTTC are very many much cheaper than portrayed. Your £3,000-£10,000 is an extreme, much, if not most can be planned at £800-£1,200. BT, BDUK and Customer contributions make this feasible for many. The pattern in NI on the FTTP is not consistent, but then it is not with any of the full fibre roll-outs. Indeed, some splitters appearing in deeply isolated areas – the lonely Presbyterian Church on 60 Claggan Road, north of Cookstown has a splitter all to itself, while businesses in the vicinity are struggling to get a viable service off a cabinet too distant to be useful. I assumed there would be some minimum of 4 customers within say a 3 pole distance of a splitter. It is showing it can be done, and once the surveys are done the costs are not as great as a computer might generate to cover all eventualities. Certainly no NI Local Authority has any say in prioritising FTTP, so it would be interesting understand BT NI’s planning rules and whether these differ from elsewhere in the UK. He’s a consultant, worked for BDUK a long time ago, hence doesn’t have current knowledge of much of the industry. Light Source – do itemise your concerns and I will deal with them. 1. All of them . First of all, where do they get the 95% from? Most of the rural areas in UK are lucky to get 2mbps. Yes where does this 95% figure come from ? Go to http://maps.thinkbroadband.com and enable “Sub Superfast Postcodes”, places where at least 50% do not have access to superfast speeds. There is no way this equates to 5% of the population. Someone is seriously lying!